Solidarity and entrepreneurship are core values of the Bolloré Group. These values nourish its desire to support “people, their ideas and their ability to materialize them”. Every year, the Group donates “a share of what it had the opportunity to receive” to solidarity activities. In 2008, the international-scale collaborative program EarthTalent by Bolloré was founded to support solidarity projects put forward by the Group’s employees and contributing to local development. Thanks to the involvement of more than 1,000 employees, 37 entrepreneurial projects have been supported in 18 countries due to their transparency and sustainability. In accordance with the corporate sponsorship strategy of the Group, Earthtalent by Bolloré henceforth focuses on projects aimed at improving the social and economic situation of young people and has extended its activities to projects put forward by the public. The ambition of the EarthTalent by Bolloré program is to support projects that have a significant impact both on the beneficiaries themselves and on the local communities. Each project also aims to encourage the commitment of Bolloré Group employees by making their time and skills available to it. Find out more about the Bolloré Group’s commitment by visiting the website ww.earthtalent.net. Founded in 1998 on the initiative of Vincent Bolloré, la Fondation de la 2e Chance has been recognized for its public utility since 2006. The aim of la Fondation de la 2e chance is to help people aged 18 to 62 who have faced extreme hardship in life and who presently live in a vulnerable situation, but who have a real desire to get their lives back on track. In addition to fund-raising, the Foundation offers these people human and financial support (up to 8 thousand euros for business start-up/rescue projects, and 5 thousand euros for training projects) to bring realistic and sustainable business projects to fruition: vocational training, business start-ups or business rescues. This financial “leg-up” is accompanied by professional and emotional sponsoring provided to the project owner, until the project reaches a successful conclusion. The Foundation’s ongoing activities are supported in particular over a network of 1,000 volunteers deployed throughout metropolitan territory. 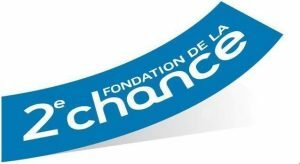 In 2015, la Fondation de la 2e chance was re-awarded the IDEAS Label. This label is recognized and trusted by donors, and establishes respect among non-profit organizations for the implementation of best practice in relation to corporate governance, financial management and monitoring efficiency. This former home of the Little Sisters of the Poor, built in 1896 and located at rue de Varize in the 16th arrondissement in Paris, was completely refurbished between 2012 and November 2015. 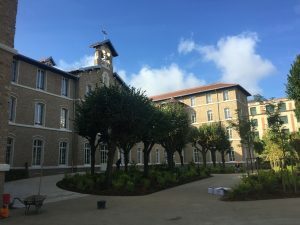 Today, it has more than 160 beds, mainly used by young students from French provinces and from abroad, but also provides rooms for young people suffering from illness and the elderly. In 2017, this space will accommodate the Fondation de la 2e chance.